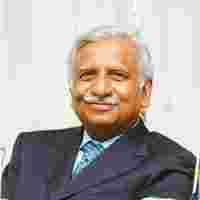 Biding his time: Jet Airways chief Naresh Goyal says he will not cede control of the company and will not go in for a distress sale. New Delhi: Leading private carrier Jet Airways (India) Ltd on Monday said it plans to dilute 10% of its equity to garner funds and strengthen its balance sheet. “We will do anything which is required to make our balance sheet strong. We plan to dilute 10% equity," Jet Airways chairman Naresh Goyal told reporters after the company’s 16th annual general meeting held in the Capital. “We are talking to investors which include some internationally renowned funds as well as some serious investors for stake dilution." He also did not give a timeframe for the stake dilution. “Currently, the market conditions are volatile and not conducive for this," he said. The Jet chief said he would not cede control of the company and would not go in for a distress sale. Asked about the airline’s financial prospects in FY09, Goyal said, “it will depend on fuel prices and the overall economic conditions." “I am hoping for an improved performance and that irrational pricing will be stopped," he said. “Irrational pricing which some air-carriers have resorted to has led to players not even recovering their costs. You need a 30% hike in fares and 30% cut in capacity to meet the costs," he said.